Bergstrom, Christer. (2007). 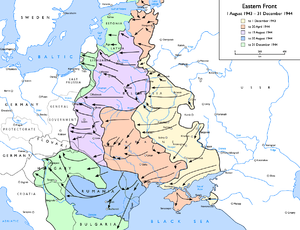 Bagration to Berlin: The Final Air Battles in the East: 1944–1945, Ian Allen. ISBN 978-1-903223-91-8. ^ a b c d Bergstrom 2008, p. 82.